curator, communicator, empiricist, economist, influencer, wordsmith, mentor, & student. Hi. I'm Stuart, a User Experience Designer & Rapid Prototyper. 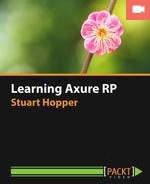 My video course on Axure RP 7 was finally published on the 30th January 2015 by Packt publishing, called Learning Axure RP 7. About a year's work yielded a 4 hour and 17 minute epic. Read my blog post about it, or go buy it from the Packt site today! It's launch time, and so I've created a new site on AxureResponsiveDesign.com for the project to live on. It was just outgrowing this, my personal site.... read more.. I've finally put together some documentation for Axure's first Adaptive Widget Library. This video introduces the mobile-first adaptive views I'm using, and briefly talks about how the paging & menu works... read more..
More Axure goodies & thoughts from my brain..
A little (more) about me! I strive to make interfaces and content that make people happy. I create wireframes and rapid prototype, so we don't make assumptions in the design process. I like prototyping concepts in Axure RP 7, and like using it's clever features for managing a user-centric design process - yes, user-centricity in the design process, not just in the products we work on! You can sometimes find me working on my Responsive Design Patterns system, trying to get from Adaptive to Responsive with Axure RP. Find some Axure goodies and more here..